For Greece the the problem is solved now and Grexit has become possible as more than three-quarters of the Greek debt is in the hands of international bailout funds.2)Greek debt crisis: Who has most to lose?, Source: CNN Money 2015-02-15 In the case of Grexit, the financial system will not collapse because the burden has been imposed on the German, French and Italian taxpayers and the international institutions that can afford to sustain losses made from the Greek debt because their solvency depends on governments, i.e. taxpayers again. 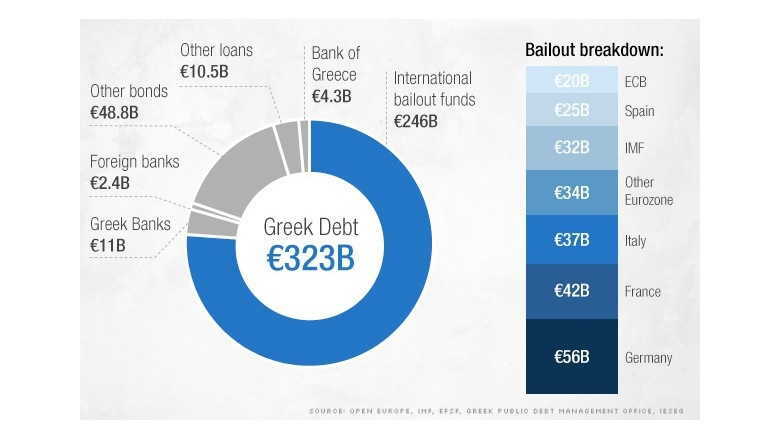 Pulling the Greek debt out of the financial market means that the debt relief is only a political decision. And people like Wolfgang Schäuble, German finance minister, can harass the Greek authorities3)Greece must reform or leave eurozone, says German minister, Source: The Guardian 2016-12-04 with no risk. The burden is spread on millions of citizens, while banks and banking elites will not suffer any more. Solving the problem is now in the hands of politicians. 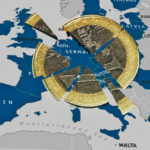 3. the European Central Bank should mop up as much debt and liabilities as possible, which will result in litigation or disputes. Greece is not a part of the Public Sector Purchase Programme; however, other EA countries’ bonds are being massively bought by the ECB. 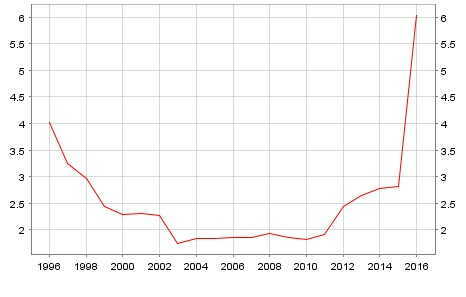 In the years 2002-2011 less than 2% of the EA’s debt was held by the Central Bank but as soon as the quantitative easing started, the share of the ECB in European bond holders has risen sharply. In the end of 2015 the share of the ECB as a holder of the EA’s government debt soared to 6%, and according to our estimations in 2016 it may be even twice higher or more, as the asset purchase program was expanded. Small countries like Slovakia, Finland, Lithuania or Slovenia could soon find themselves in the hands of the ECB, as 1/5 of their debt is already held by Frankfurt’s ECB. At the same time, the share of other monetary financial institutions, i.e. banks, has dropped below 25%. A further decrease would minimize the risk of a euro collapse for banks. Moreover, the share of residents5)Resident – a person or entity who mainly resides in one region or jurisdiction and has interests in this region. in EA’s debt holdings has increased, which means that most of the bonds can be easily converted to the local currency without big protests from the outside powers. The public sector purchase programme, the main part of the ECB’s quantitative easing, was introduced in order to decrease the interest rates and help the local economies to rebound. However, the unwitting side effect of Mario Draghi’s policy is that the ECB has been putting itself in a position of being able to exclude a country from the eurozone. 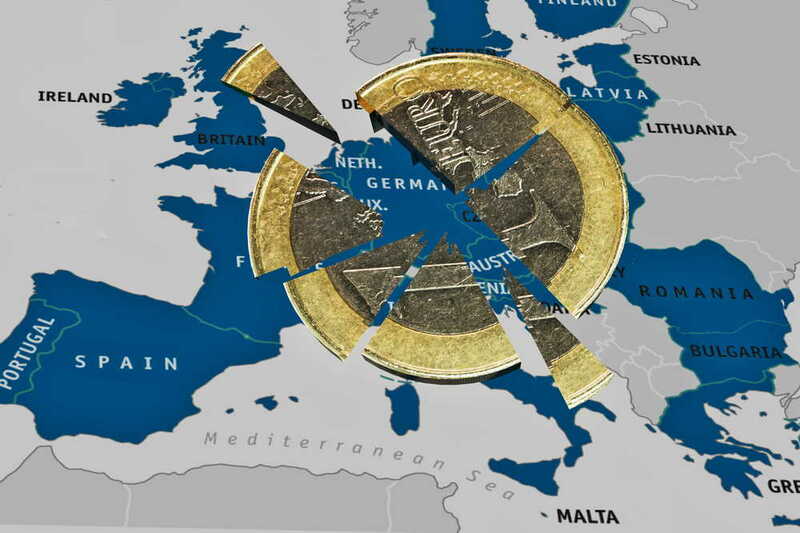 With a majority share in a country’s bond-covered debt, Frankfurt can decide which state should stay in the Eurogroup and which can be dismissed without a potential collapse on the financial market. 5. ↑ Resident – a person or entity who mainly resides in one region or jurisdiction and has interests in this region.